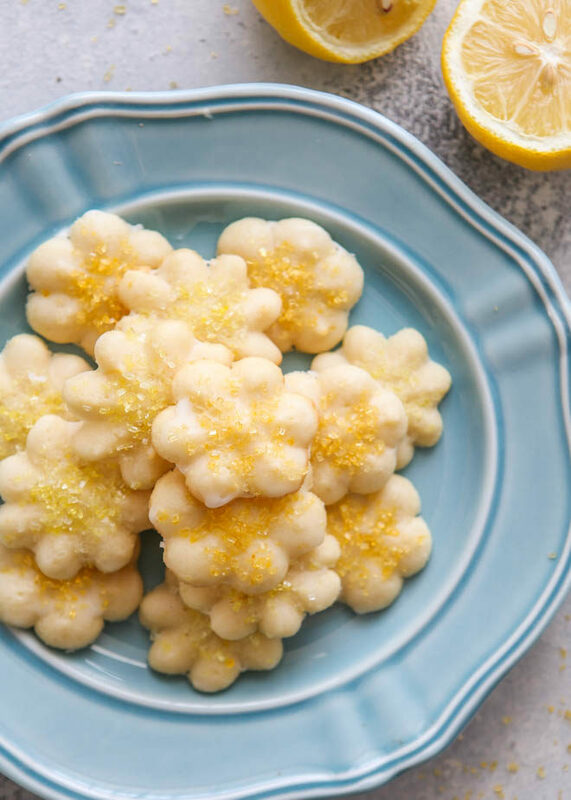 These tender little spritz cookies are packed with lemon flavor and perfect for Spring! I always make my classic butter spritz cookies during the holiday season, but this last year I noticed that my cookie press comes with so many non-holiday shapes that I’ve never used. Mostly, lots and lots of flowers! So I vowed to make them again in the spring with a fun seasonal twist. And so here we are! 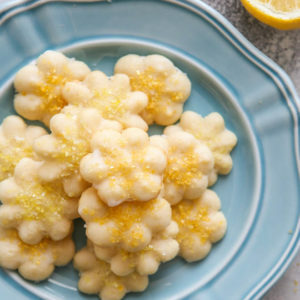 These lemon spritz cookies are everything I hoped they would be— very lemony and super cute. 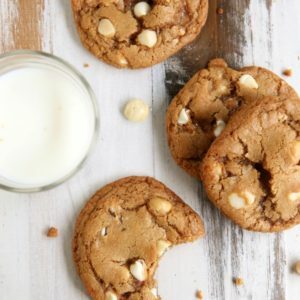 The cookies come with a triple dose of lemon, with both lemon zest and extract in the dough, and a lemon glaze poured over each one. They’re perfect for springtime, or anytime really! 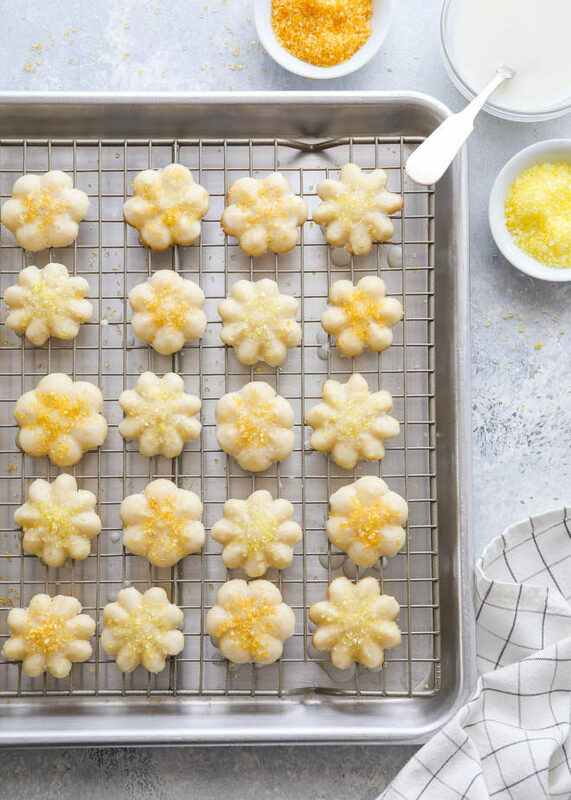 If you’ve never had spritz cookies, you’re in for a treat. They’re slightly crisp and delicate, and the high butter content reminds me a little of shortbread. Their most notable characteristic is that they’re shaped with a cookie press (this is the cookie press I have and love). Usually the cookies are scented with vanilla and/or almond extract, but for this twist I wanted it to be all about the lemon. 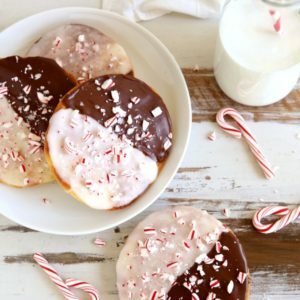 Thanks to their small size these cookies are so pop-able! I dare you to eat just one spritz, it’s not possible. One batch makes a ton, so feel free to share. 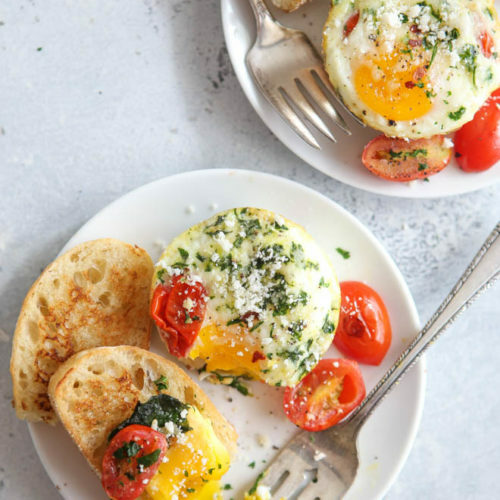 With an electric mixer, beat the butter and sugar and until light and creamy, 2-3 minutes. Add eggs one at a time, mixing after each, followed by the vanilla and lemon extracts. 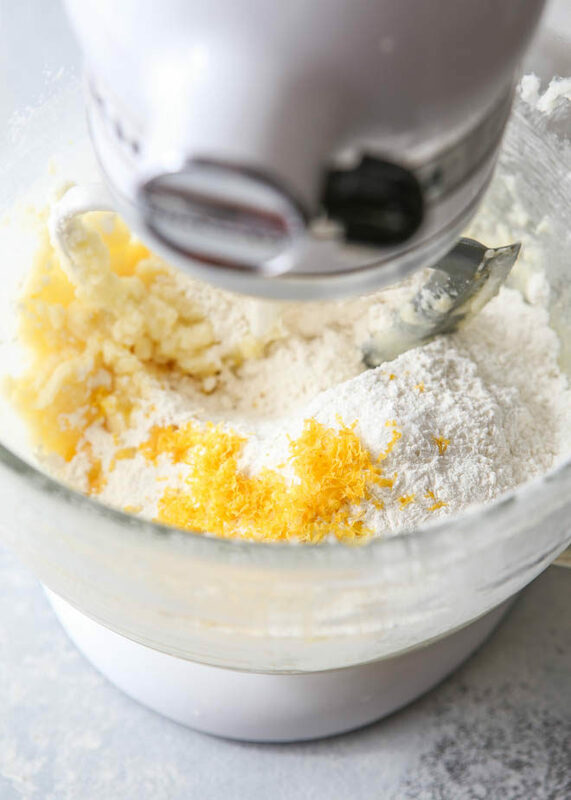 Add the flour, salt, and lemon zest and mix until just combined. 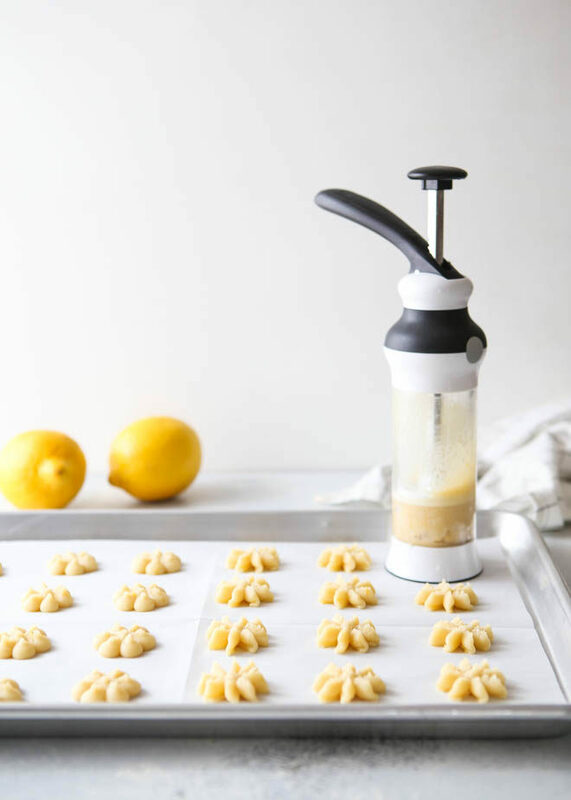 Use a cookie press to form cookies. 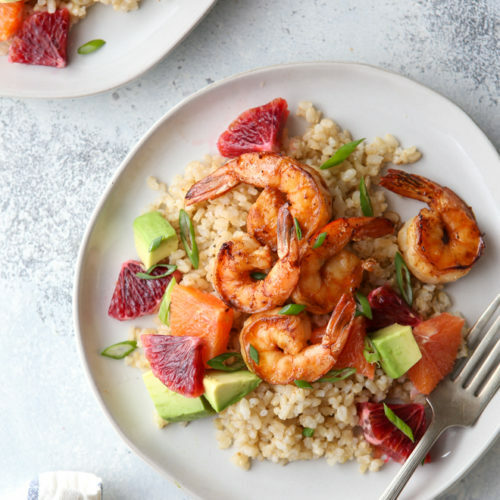 Press onto a non-greased sheet pan. 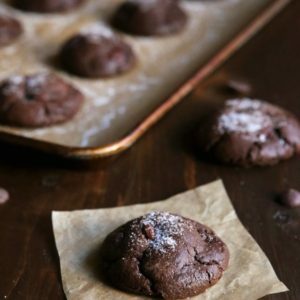 Bake until cookies are set but not browned, 7-9 minutes. They were done at exactly 8 minutes in my oven. Let cool on the pan for a few minutes, then transfer to a wire rack and set over the sheet pan. 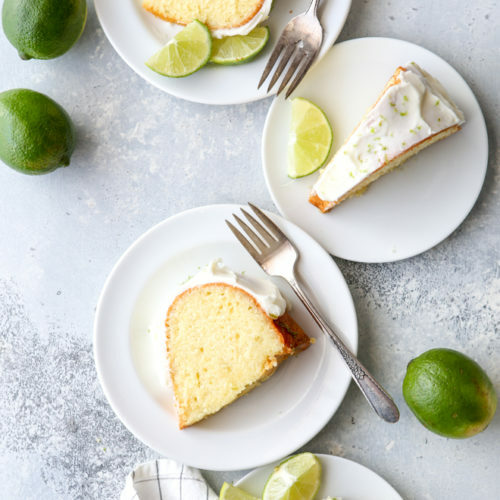 Whisk the powdered sugar and enough lemon juice to make a thin glaze. Pour the glaze over the cookies, letting the excess drip down through the wire rack. Top with sprinkles and let sit for several minutes until glaze is set. These look like the perfect addition to my Easter Buffet!